The Eastern Patagonia consisting mostly in moister cold grasslands. Plush-crested jay, typical bird in Iguazú. 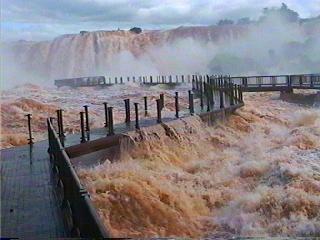 Tropical climate in Iguazú Falls, Mesopotamia. Subpolar climate in El Calafate, Western Patagonia.